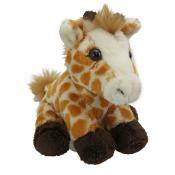 Aurora Baby stuffed animals come in all styles but one thing they all have in common is that babies ..
We are excited to announce that our Lazy Baby Toy Storage Bag is now available!Made from soft and d..
Gertie Giraffe comes to us from the Zooper Tropper Collection by Lily and GeorgeFacial features hav.. They are just so cute and ideal for baby girls or boys!This knitted Giraffe from Lily and George wil..
A must have for any kids bedroom, Marty Mouse is from the Lily and George knitwits collection.Lovel..
A must have for any kids bedroom, Tony Tiger is from the Lily and George knitwits collection.Lovely..
Beautiful fun dinosaur knitted plush toy to brighten up your baby's day!They measure 37cm i.. The Lily and George range of toys are gorgeous, colourful and fun and are the perfect gift for ba..
Meet Lucy a soft gorgeous fluffy long legged LarrikinShe's just so cute and ideal for girls or..
Adorable Lily and George fabric patchwork bears are a fantastic gift for any new addition to..
Penny Penguin is looking for a new home.A knitted Penguin designed for maximum cuddles!Made by Lily ..
Ohhh…these super soft and adorable plush puppies from Lily & George have just arrived!Featuring..
Colourful and Soft Plush Lion characters from Lily and GeorgeRhonda and Randall both have st..
Just in time for Easter a beautiful soft bunny toy with detailed stitch design.Millie bunny is a be..
What is it about a teddy bear that makes them so irresistible? Is it that they are soft and cuddly,..
With big floppy ears and super soft and squishy bodies, the Baby Big Ears collection is ideal..